Networking is a scary word. It sounds pushy, like something you’d only do if you’re desperate, to sell your products, your services, yourself. However, if you forget the terms, ‘networking’ is just something every professional must manage throughout their careers, and indeed, is something everyone has to do to get through life. Whether you’re looking for that perfect job or the perfect candidate to fill that perfect job; seeking a mate, or just trying not to be ‘Billy No-Mates’, human connections make life better. And the better we get at connecting, the more we can enjoy working, socialising, and all the other interactions in between. Humans are social animals and we need social contact to thrive. In prisons, solitary confinement is a punishment and studies (Matthew Lieberman, UCLA) show we feel social pain in the same part of the brain as physical pain. Getting to know people is a precursor to being able to trust someone; vital if you’re thinking of doing business. Trust is formed through layers of knowledge, first the superficial – does someone fit the story they tell – and then the deeper – are they committed to what they do, how motivated are they, and do you feel they will deliver if you invest in them? We’re all busy and whether you’re looking for a date or a deal, no-one likes having their time wasted by people who flake out or who fail to turn up. Before the days of Tinder, there were a plethora of internet dating websites. Some required you to write an enticing profile about yourself. Others allowed your friends to speak for you. Those who are naturally reserved may find it easier to extol the virtues of others – colleagues, clients, and friends, and in turn, allow people you’ve worked with to speak highly of you. This can be more authentic and seeing how others think about you could lead to you discovering more about yourself. Linked In references are a good starting point. Hello wine! Cheese! Crisps! Check out the glasses of tables at events such as IoD or Chamber lunches and you can quickly tell which tables are having fun and which are finding the process a little … painful. Getting sloshed at lunchtime is not on, but if someone invites you to lunch, a cheeky glass of wine, or at least a naughty bread roll shows you appreciate the hospitality. If you really hate events, you’re better looking at other ways to meet people. Sports, book clubs, conferences etc are all good starting points. The Kendrick Rose table at events is always fun because we ensure there’s a good mix of people who are there because they want to be, not because they feel they should be. There’s a saying that giving is much better than receiving and when it comes to conversations, sharing knowledge, snippets of gossip, or information about yourself is important to develop a relationship. Most ‘networking experts’ say asking questions is the best way to get to know someone, but only if you’re prepared to share as much in return. No-one enjoys a barrage of questions that make them feel like they’re being grilled on Newsnight! A good conversation may involve a few questions, but it needs to be a fair exchange of information rather than an interview or a monologue if both parties are to enjoy it. If you want to take connecting a step further, consider hosting your own events where you can bring together various people you know and help them make new connections. Rather than losing connections, introducing people to others they might like to meet enhances your value as a connection. Hosting an event takes time and a lot of effort to get right but one good event a year can be enough to make the leap. 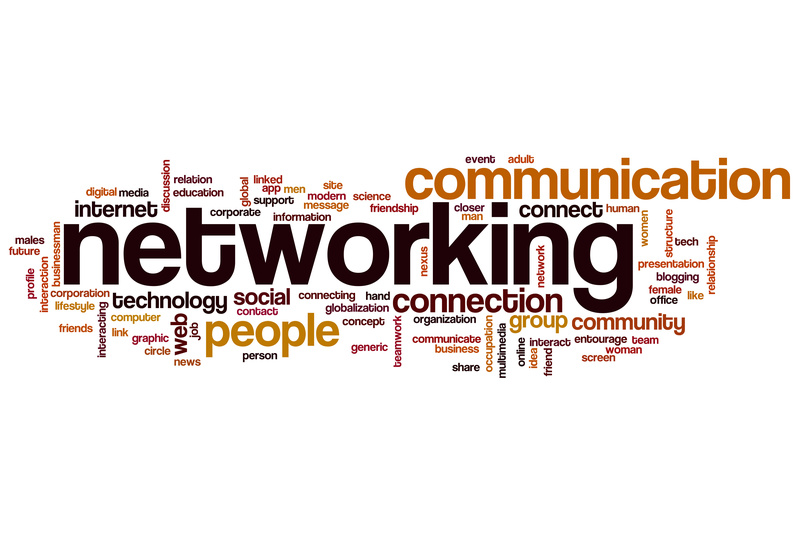 Super connectors may get invited to lots of events in return but connecting people in ways that transform businesses and indeed, lives, is the greatest reward. We can all be a bit awkward if we’re feeling shy, or self-conscious, but if everyone in the room is feeling like that, no-one will enjoy themselves or get anything positive from the situation. Sometimes suspending our egos and making others feel at ease is the best way to lighten a situation. Interestingly, focusing on someone else can also make you stop worrying about how people are perceiving you, and can make an event more enjoyable. Clients and candidates alike comment on Kendrick Rose’s strong network which we’ve built up over many years getting to know people across the Finance Industry and other professions in Jersey. If you see us at an event do come up and say ‘hello’ and we’d be delighted to have a chat.